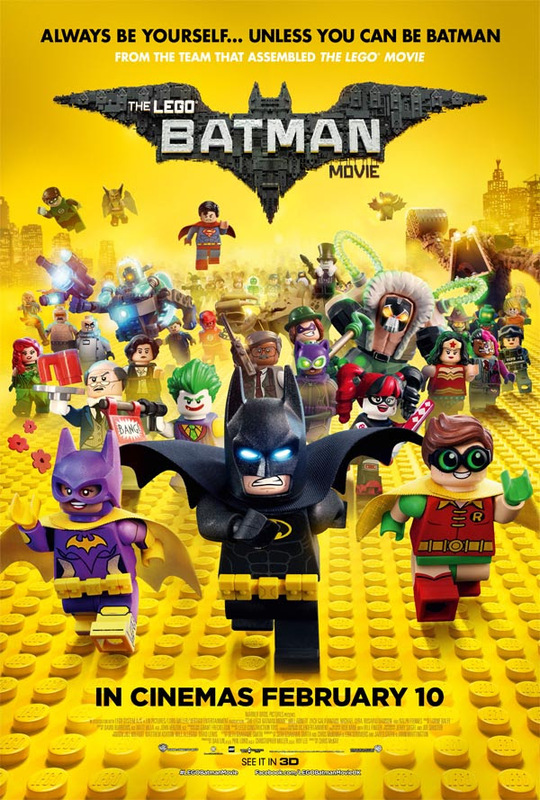 As should be abundantly clear by now (especially in light of recent posts) I’m something of a Lego fan so that, teamed up with a whole bunch of DC characters, should have made this the perfect film for me to watch yesterday afternoon. It’s a kids’ film and I’m a bloke in his late forties – definitely not the target audience. The story was simplistic and the moral is, like the original Lego Movie, that everything is awesome when you’re part of a team, rather than struggling along all by yourself. That said, it’s very funny in places – Bane kept cracking me up for some reason – particularly the start and the end, though the middle act plods a little, and the animation is superb. It’s not bad by any means and if you happen to go see it with kids into either Lego and/or Batman, I’m sure you’ll have a great time. For me, though, three Batman Lego heads out of five. Posted on Monday, February 13, 2017 Sunday, February 12, 2017 by GaryPosted in Film/TVTagged Batman, Lego.